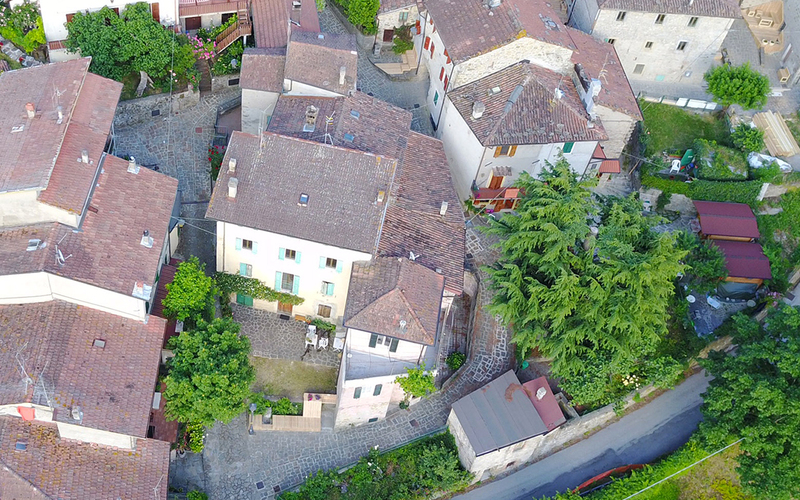 The 8th edition of Camposaz took place from 26 May to 4 June 2017 in Borgo Serrucce di Ripoli, a village in the municipality of San Benedetto Val di Sambro (Bo) located halfway between Bologna and Florence, in a territory with great landscape value. 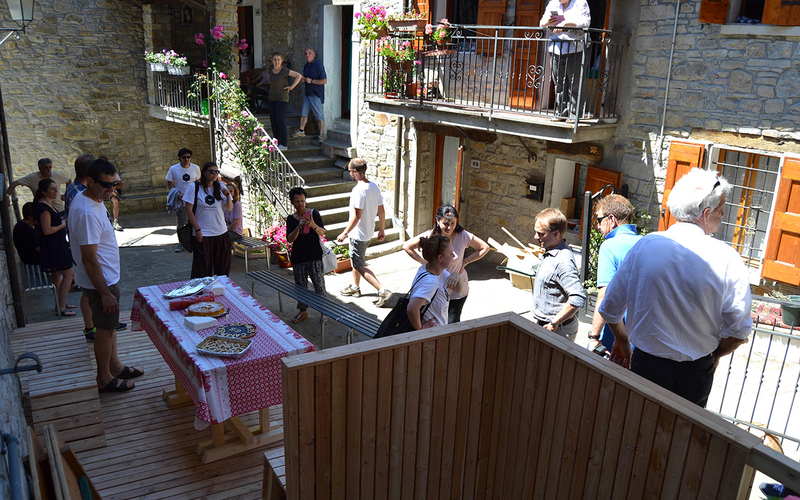 Camposaz consists in a free workshop aiming at designing and self-building architectural objects for landscape enhancement. 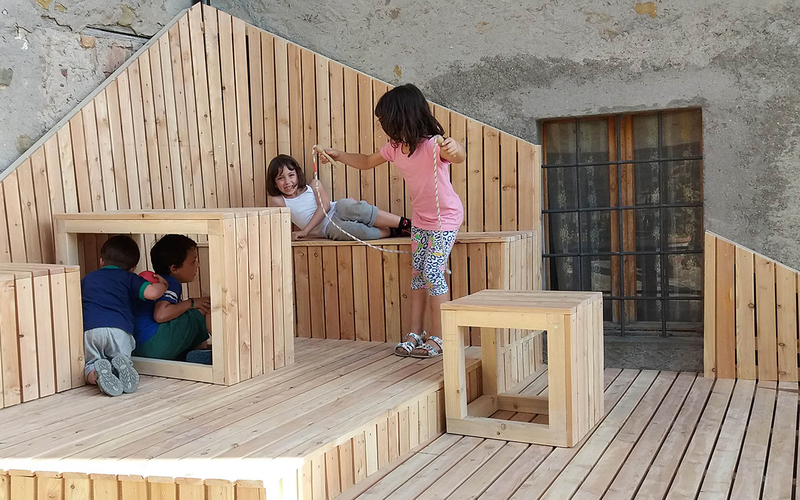 It is targeted to young architects and designers, selected by Camposaz collective, for the purpose of gathering in a temporary group the processes of design and self-construction. 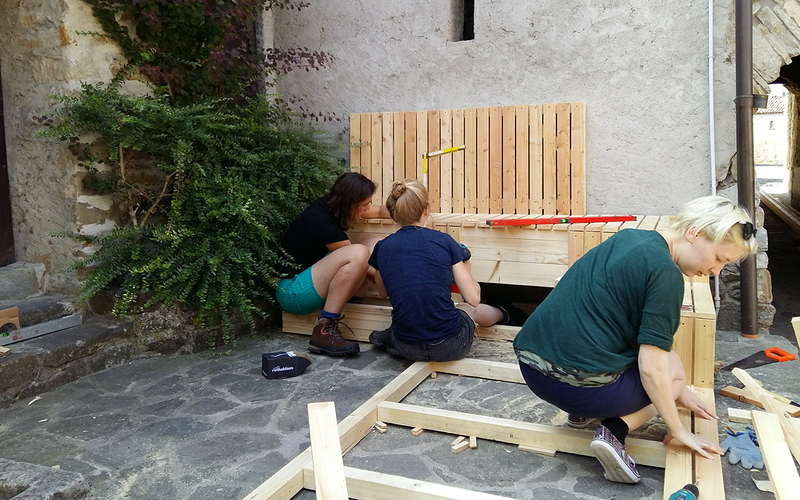 The workshop is part of “Val di Setta slow speed”, a project aiming at slowly rediscovering the rich territory of the Setta Valley. 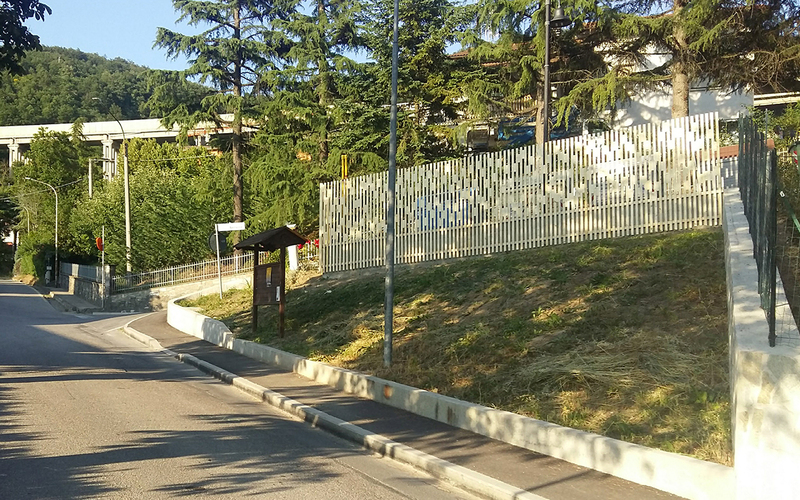 This territory was upset in recent years by the work of construction of the new highway named Variante di Valico, which has caused subsidence and hydraulic problems. 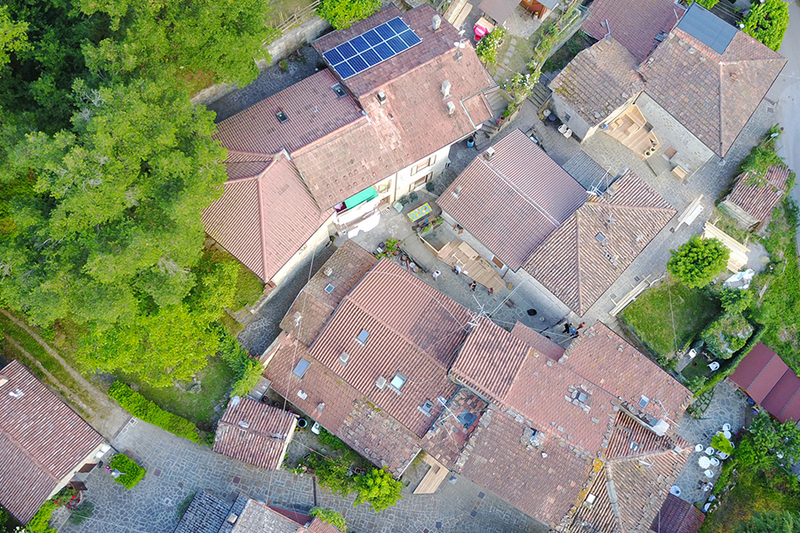 This event has increased the process of depopulation of the entire valley. 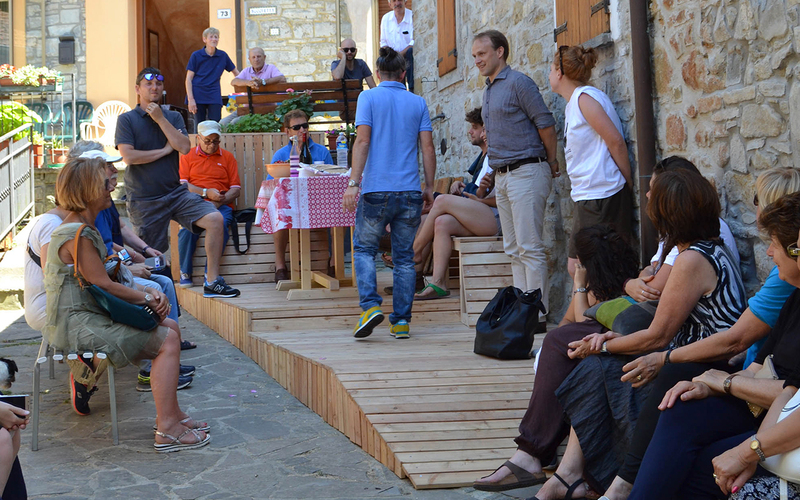 The project “Val di Setta slow speed” is promoted by the Union of Municipalities of Bologna’s Appennines and conducted by Ciclostile Architecture, an architecture office that focuses its research on regional regeneration processes through the participation tool. 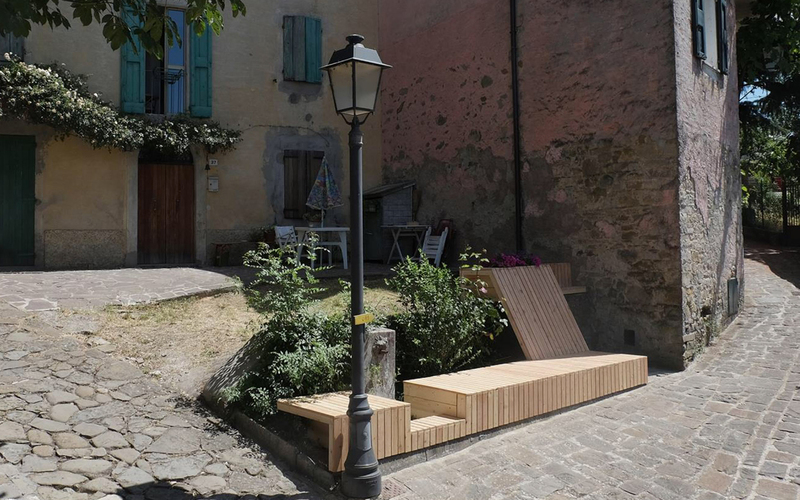 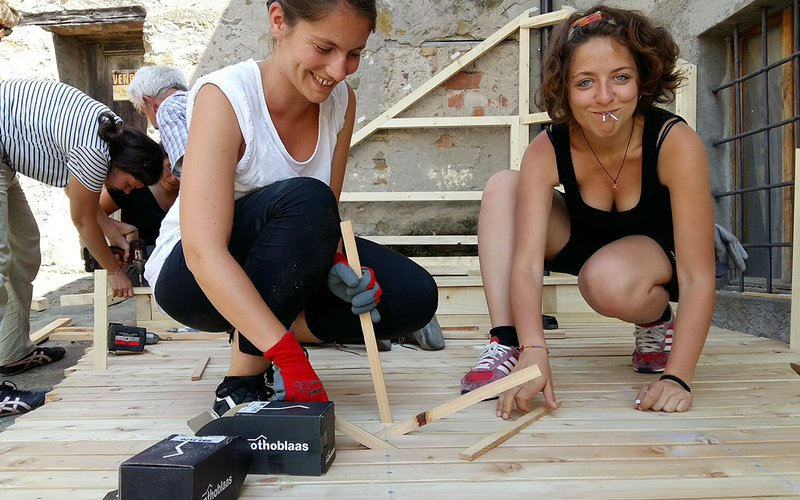 During the Camposaz week the participants have ideated and created wood Installations, following the thematic suggestions provided by the organizers and developing ecofriendly, practical and sustainable designs to improve the quality of public spaces in the village of Borgo Serrucce. 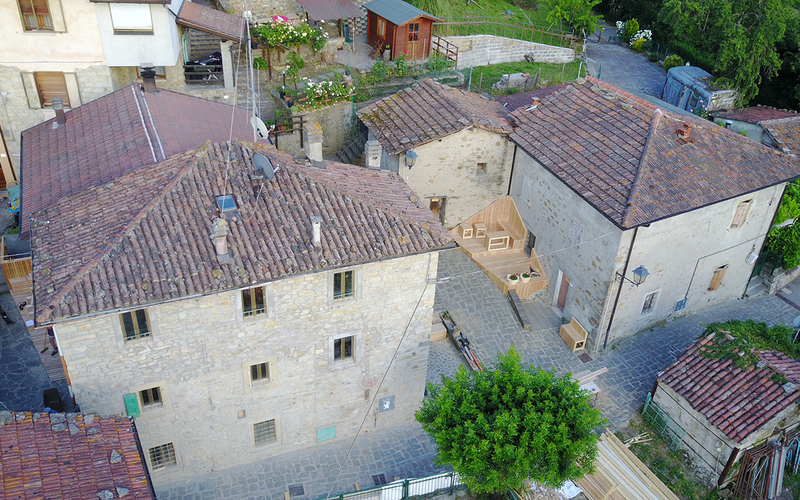 The workshop is conceived as the final part of a broader participatory process, initiated in 2016 by Ciclostile, with the Municipal Administration and inhabitants. 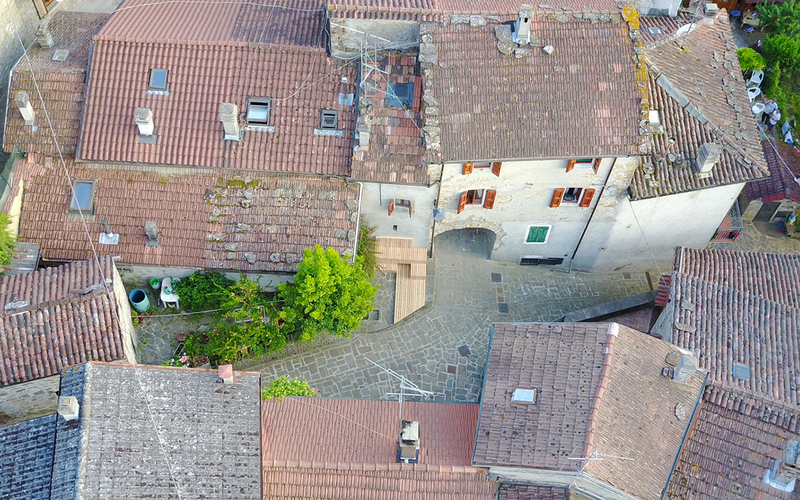 The needs highlighted during the workshops are related to enhancement of the public space identified by the presence of some old fountains in of Borgo Serrucce. 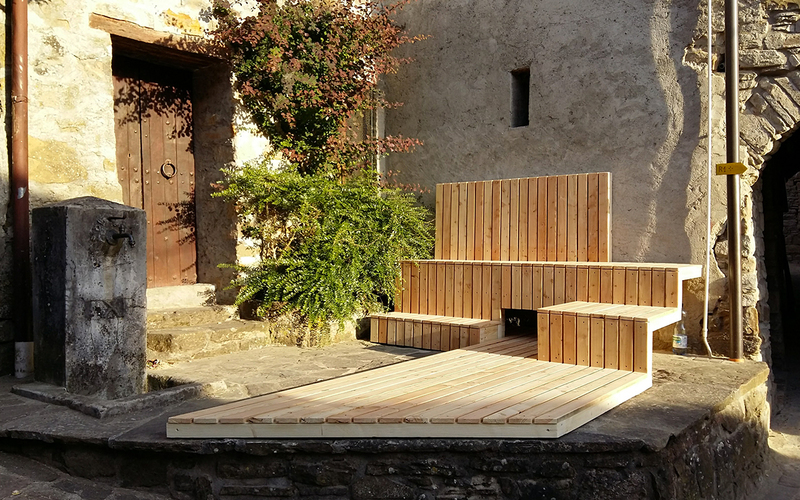 The fountains were once functional elements in the daily life of the village, and have been transformed, through the construction of wood installations and urban furniture, in new relational spaces for inhabitants and tourists.